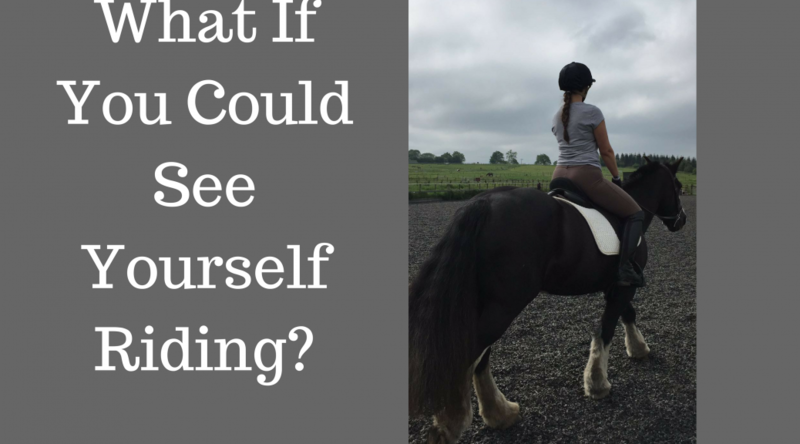 What If You Could See Yourself? 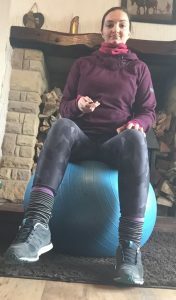 I hope you have enjoyed the recent exercise based blogs. Let me know if you would like more of the same or indeed anything else? Today I just want to give you a little tip on how to make some great improvements in your riding for very little time or money. 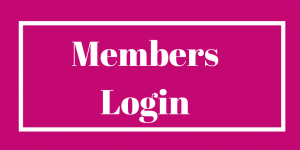 Just by using your smart phone or tablet. Oh and you might need a friend to hold it. Have you ever videoed yourself riding? It can be really eye opening and in fact a really simple way to help you improve. Often with our bodies, what we think it is doing is not necessarily what it is doing. Or perhaps you have a little habit you are not aware of-looking down, tipping forward or nagging with your legs. The suddenly you watch yourself on a video and you realise why you are not getting your desired result. It can be so powerful to video your lesson or even part of it and see for yourself what your instructor sees and how you respond to the instructions given. I have found myself better able to correct my position after I have watched it in action. Next time I am on board I am able to re consider where my head or hands are or if I am sat straight. So, why not try this out for yourself, have a friend or trainer video you riding and then watch it back and see where you can improve. I’d also love to see some of your videos so send them over! 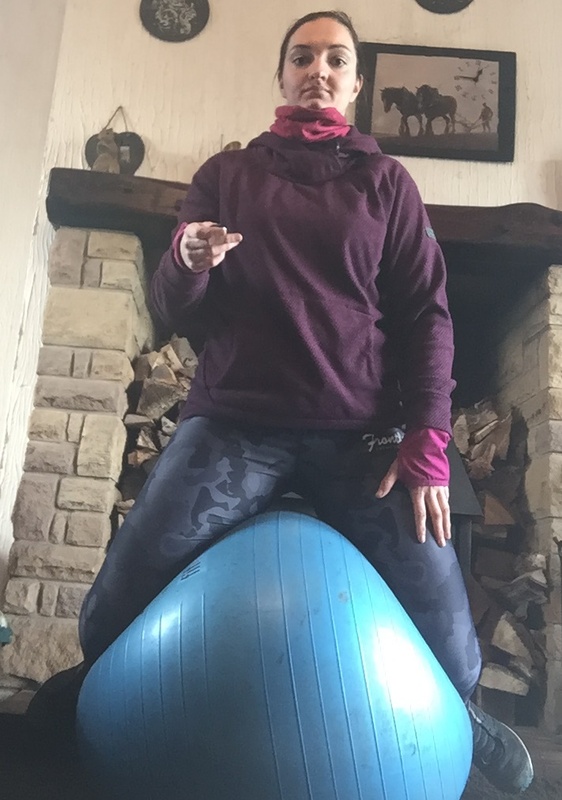 So last week we did so totally riding specific core work. 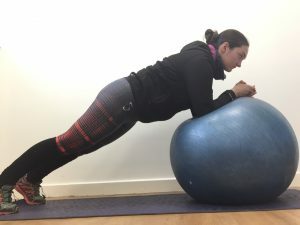 This week we are going to do some more great core exercises although I guess what you would call more “traditional” exercises. They are of course still relevant to riders and I will explain why as we go along. 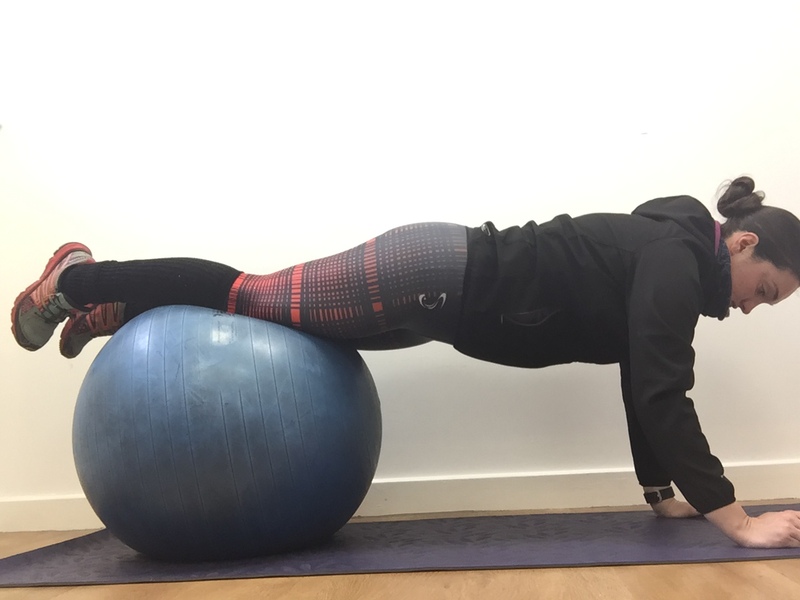 Plank with your hands on the ball is a great exercise. 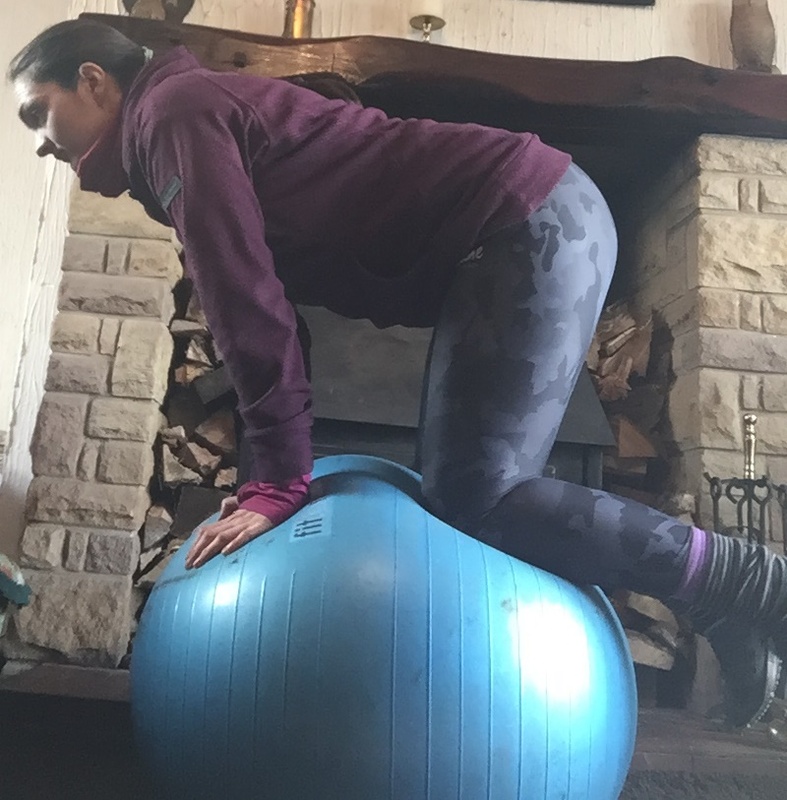 It encourages you to maintain a stable core whilst your hands are not so stable-like you know every time you ride! This will firstly stop you using your reins for balance but will also help you out if your horse moves his head around perhaps sneezing, or pecks on landing after a jump. No more toppling over the head gymnast style for you! To do this exercise. First ensure you have a firm footing. I tend to start on my knees with this to get my arms in position and then lift my knees to full plank. If you need to start just staying on your knees that’s fine you can work up to lifting them. Try holding it for up to a minute-5 seconds is totally fine as a starting point! Stir the pot-This is essentially upping the ante of the exercise above. You know if it was too easy! Once you are comfortable in your plank slowly move your arms with the ball in a small circle, first left then right. Do 10-30 each way. Reverse Hyper Extension. I know most of you wouldn’t see this as a core exercise, but the reverse hyper extension will work both your glutes and lower back. This is important as the glutes are the biggest muscle in the body and also play a supporting role in hip and core stability. So strong booty=strong core. 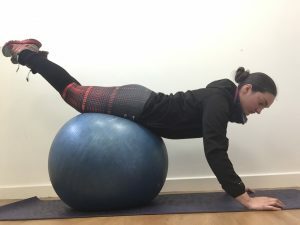 The lower back forms part of the core and is an often underused area of the body. It is an area many people experience pain and would therefore be wary of working; but that is exactly what it needs. If we strengthen the area we make it better able to cope with the demands we place upon it. Lie over the ball with your hands on the floor. Your hip bones should be in the middle of the ball and your legs and feet lifted. Squeeze your glutes together and lift both your legs up so they are a few inches higher than your glutes. You should also feel your lower back working here too. Do -10-30 reps.
Ball Pike. This move requires core control whilst moving. This obviously happens constantly whilst riding i.e when you use your hands, your leg, move into a jumping seat the list goes on. Ok, people have different methods of erm “mounting” the ball. I like to roll myself forward over it and into a press up position walking out until only my feet remain on the ball. You can keep up to your knees on the ball if you need a little more stability. Then you are going to roll the ball in with your feet/knees towards your hands. 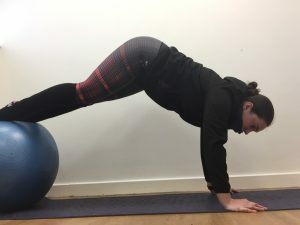 You can do this firstly with knees bent and then if you can do this try it with legs straight with your feet on the ball. So, I’m acting on a request this week, I was asked about good core exercises to do on a gym ball. 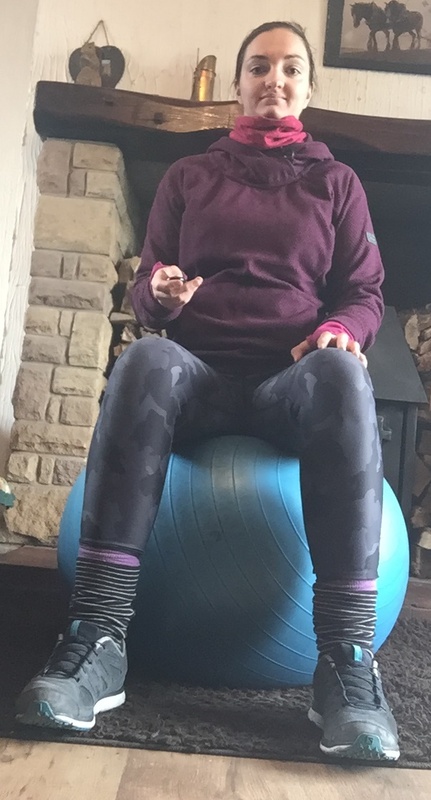 Now there are loads of great exercises you can do with a gym ball and they will all be beneficial in some way. However for the purposes of this I am going to focus on some very Riding specific exercises. 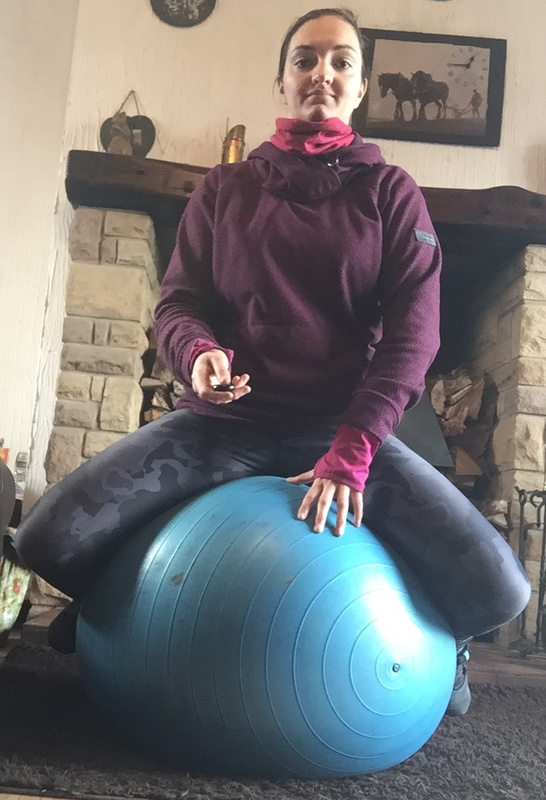 The great thing about gym balls is that they are unstable and require complete balance to stay on them. 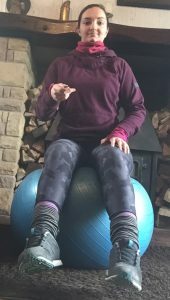 As riders we can use them to determine whether we do sit level on our horses and then whether we can move our bodies and still stay level. 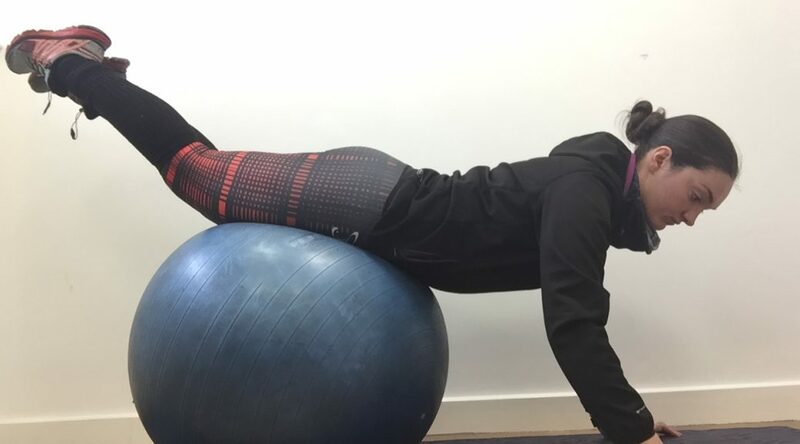 If we have any notable asymmetry, weakness or tightness this will cause other muscles to compensate when we move and in this instance you will probably fall off the ball-it’s tough love I know! A gym ball can be bought pretty cheaply these days; supermarkets etc. have them for under a tenner. When you blow it up it needs to be firm enough to sit on without squashing itself in half but not so solid it doesn’t squash at all. Also, it is completely ok to hold onto something doing any of these exercises and to gradually take your hands away. Please make sure you stay safe, have a soft landing should you fall but be careful and don’t do anything you are not ready for. And I have 3 layers of clothing on it was cold that day so I am not carrying twins as it may appear at some angles! Firstly, if you are not used to the ball just sit on it with both feet on the floor and get used to how it feels. 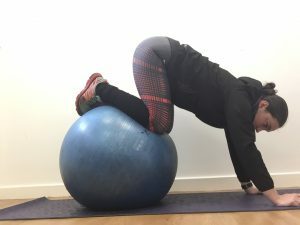 If you do not have a particularly well-functioning core or have prominent imbalances in your body this in itself will actually be quite a challenge-trust me I’ve been there! Once you are comfortable with that try lifting one foot off the floor. Then repeat on the other side. Is one side easier than the other? Is one side more stable? Does a hip lift or tilt on one side more so than the other? Does the ribcage tilt, twist, lift or dip? Does the whole of one side displace when a leg is lifted? This will give you some clues as to what happens when you are riding and you use your leg. If you have mastered that take both feet off the floor. Ensure you stay sat upright as I have seen many people tell me they can do this and then lean back to help balance-perhaps they do this on their horse too….. If you can’t stay balanced, notice what happens as you tip off. If you always fall the same way for example then you may be leaning more this way, try leaning a little more the other way and see if this helps. Once that is comfortable for you try getting on the ball in more of a riding stance. I like to try these two ways. and secondly astride but with air between you and the ball as if at the top of rising trot. I find it is pretty obvious if you aren’t level a t this point! Try to replicate your riding position as best you can. As well as being level through the hips, look for ensuring your sternum is over your pubic bone to keep you level back to front, and keep your tailbone tucked under. If it helps hold some imaginary reins, you’d be surprised how many people need to do this in order to balance, what do you think this means about their riding and rein contact if they need reins to balance-real or imaginary? And lastly once you are a total pro on those try four point kneeling on the ball. (Make sure you have a soft landing should you fall!) If you want to really show off you can lift one arm or leg – or indeed one of each! Jockeys and most eventers tend to have no trouble doing this exercise! So these may not seem like “core” exercises in the traditional sense, but I promise you practicing these and getting comfortable holding them, maybe being able to watch tv, hold a conversation etc. without falling off will have far greater benefit to your riding than any plank or crunch exercise I can give you. I may cover some of those soon as they do have their benefits but for now let’s see how we get on with these! I'd love to see your pictures if you try these!